A brand new trailer for Naomi Watts’ upcoming Princess Diana biopic has been released online – and already it’s attracting attention. The 2 minute-long clip focuses on Diana’s rumoured secret romance with surgeon Hasnat Kahn, which is thought to have taken place during the last few years of her life. 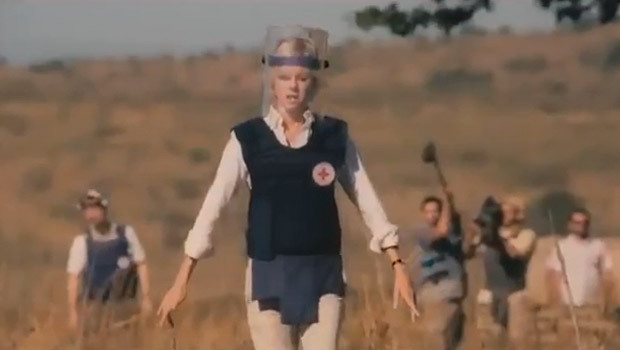 The sneak peek begins with Naomi Watts as Diana surrounded by photographers on the red carpet, before moving on to iconic shots of her working with a land mine charity. It also shows her meeting heart surgeon Hasnat Kahn at a hospital, and how their whirlwind romance unfolds. When asked about the role and the effect it would have on Princes William and Harry, Naomi Watts told News.com.au in an interview: ‘We’re not trying to destroy any memory. We’re trying to show her in the best possible light as a human being, though, full of different layers. Diana hits cinemas on October 10.